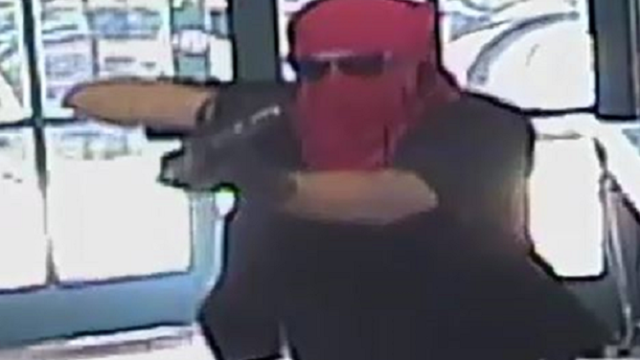 Video surveillance images of an armed robber holding up a La Mesa flower shop were released by police Tuesday in hopes that someone will recognize the bandit. The robbery took place July 20 shortly before 11 a.m. at Conroy’s Flower Shop located at 5163 Jackson Drive. 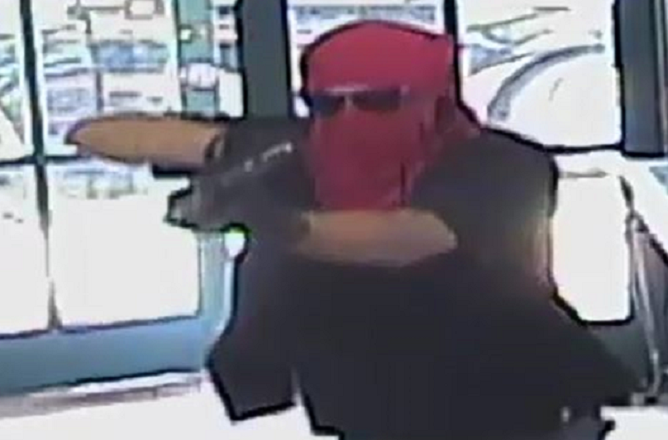 The man entered the store with a mask on his face and a weapon in his hand, according to a witness who spoke with the La Mesa Police Department. The suspect came out of the store and got into a waiting vehicle that had a driver behind the wheel. The getaway vehicle — which had been reported stolen — was eventually found but the robbers escaped capture, according to police. The robbery suspect is described as a white male adult, 5’8″ to 5’10” tall. 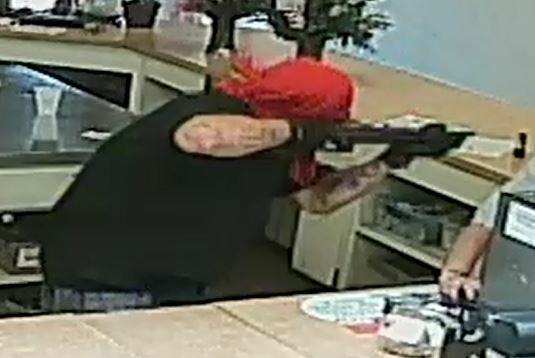 He was wearing sunglasses, a red bandana covering his face, a black shirt and gray shorts. He was armed with a rifle that has been recovered by police. There are no description details on the driver. Anyone with information about the suspects is asked to call the La Mesa Police Department at (619) 667-1400. Tipsters can also call Crime Stoppers anonymous toll-free line (888) 580-TIPS (or www.sdcrimestoppers.com).